So how does Vidiwave’s fuel catalyst and analytics technology help to reduce your fleet maintenance costs? Surely maintenance over a given service life and distance travelled is the same ...isn’t it? Here is how, why and where our technology can help you to reduce your fleets overall service, maintenance and life cycle costs. FPC our fuel catalyst technology is proven to improve engine life-cycle costs by as much as 25%. By reducing carbon build up on the fuel injectors / valves and rings. By reducing costs of parts and labour consumed each time the train is taken out of service for an engine re-build. Each service interval and rebuild also carries a cost penalty in respect of in-service income that is also lost as part of the on-going life-cycle costs. By reducing wear and tear on engine components FPC reduces the typical cost of each re-build by as much as 20%. Turbocharger screens / Air-box Particle Filters – less soot in exhausted gases means the filter change interval are less frequent. Engine oil – Less soot also means less HC and PM2.5 particle contamination in the engine oil. So it stays cleaner and needs changing less frequently. Fuel Filters – the natural biostat effect of the biocide in FPC means that there is virtually no “fuel bug contamination”. Which means less sludge in the fuel to be trapped by the fuel filters. So they too need changing less frequently. Spark Arrestors – Less soot and carbon particles means that traps become dirty at a much slower rate, improving both safety and costs. In passenger and freight rail applications these costs are directly proportional to load carried and service miles over any given period of service. All these costs have been documented and published by independent Rail study groups. Called the Epel Study 2001 – by Professor J.P.Baumgartner it reports on Prices and Costs in the Railway Sector. 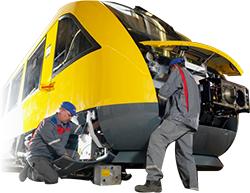 It covers in detail maintenance costs for diesel train maintenance both in the US and European rail industries. This study makes it very straightforward to approximate both maintenance costs and savings for passenger and freight fleet operators, as it gives both average and high mileage vehicle cost examples. In addition the use of VFT’s fuel additive (FPC) will reduce metal wear normally caused by hard carbon (HC) build-up in the combustion chamber. 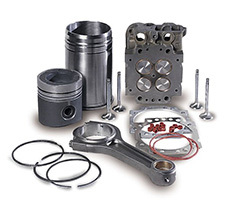 Extensive long-term tests of fuel treated with FPC have shown huge reductions in the build up of hard-carbon deposits in the piston rings, cylinder heads, valve ports and crown heads. So much so that engine “metal wear” caused by HC deposits is reduced on average by over 31%. 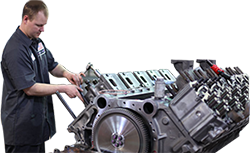 This delivers a huge benefit to ROCSO’s by reducing their overall engine re-build, servicing and failure costs incurred over the life of the engine. From results seen in the field, long-term use of FPC can increase engine service life by as much as 25%, improving your carbon footprint and your ROI.